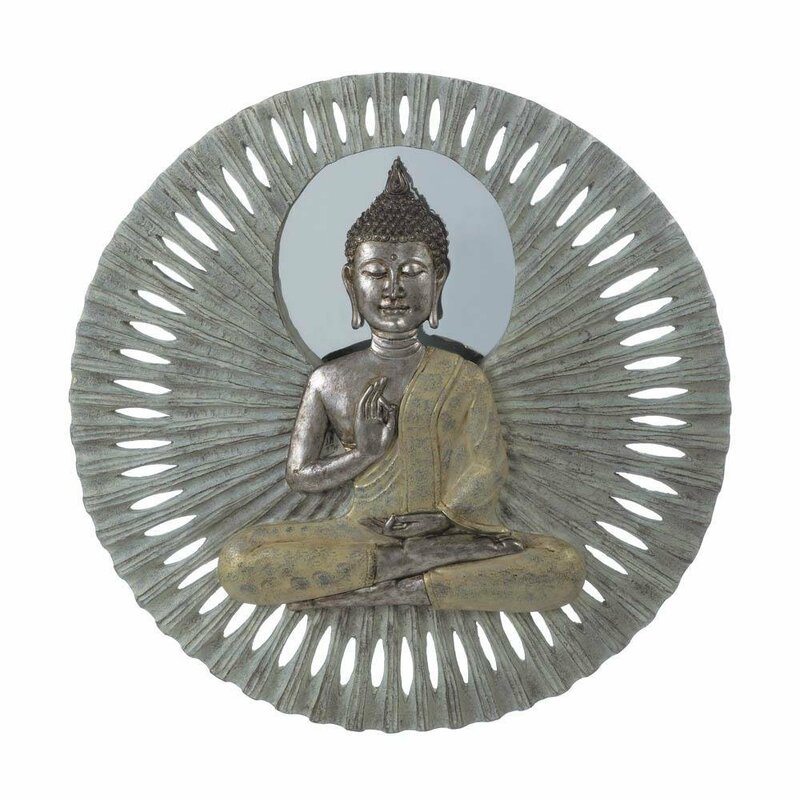 BUDDHA CIRCULAR WALL DECOR by Accent Plus home decor, jewelry, decor, decorations, electronics, fountains, floor mats, art glass, vases, garden essentials, fireplace screens. Fill your room with stylish peace! This Zen Buddha wall decor is truly unique and will look great over your entry way table, over your living room couch or anywhere you could use a little extra soothing style. Weight 11 pounds. Dimensions 23" x 23" x 2.25". Material(s): POLYRESIN.